The Case Peanut with Lollypop Corelon scales is the perfect addition to any collection or part of your every day carry rotation. The Lollypop Corelon Peanut features Tru-Sharp surgical stainless steel blades, able to take on your daily cutting tasks. 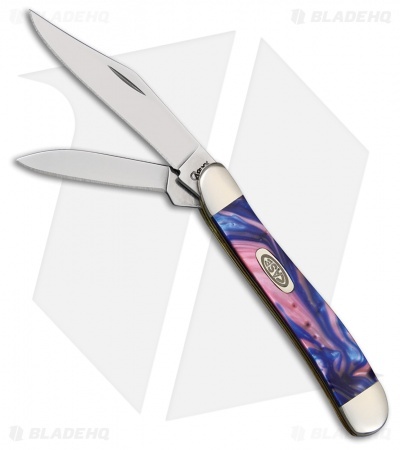 Lollypop Corelon scales are a vivid swirl of purple, blue and white, making each knife unique. Polished nickel silver bolsters with brass liners complete this beautiful and unique knife.